AAVINET Security is a family owned and operated business providing extremely professional, personalised and caring service to all facets of our community. We are a leading professional installer and provider in the high-rise and resort sector, large gated residential communities, industrial and heavy industry, commercial premises including shopping centers and police stations, small businesses of all sorts, and definitely the domestic sector. Finding great quality, professional, reliable, low cost electronic security products, backed up by fully trained, licensed and friendly technical providers, can be harder than winning the lottery. We are extremely aware of this and as such we have used our years of experience and to make AAVINET Security a one-stop-shop for everything you could ever need or want for your home, business or community. 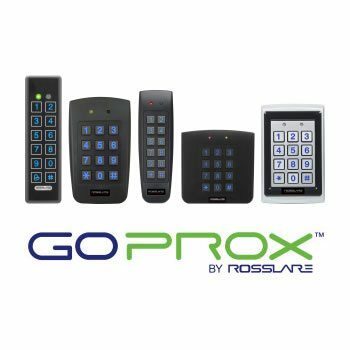 If you need genuine professional CCTV, alarm system, access control or intercom security at affordable prices, then you are absolutely in the right place. AAVINET Security has forged solid dealer partnerships with Hikvision (CCTV), RISCO Group (alarm systems), Aiphone (intercoms) and Inner Range (access control). 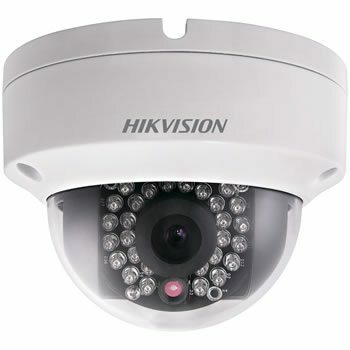 Hikvision is the largest CCTV manufacturer in the world boasting superior and outstanding quality at low costs, and AAVINET Security has paved the way to deliver the stunning Hikvision CCTV range to the Gold Coast region at simply unbeatable prices. The RISCO Group manufactures arguably the most comprehensive and professional alarm systems in the world which are completely scalable with unlimited options as your home or business circumstances change. 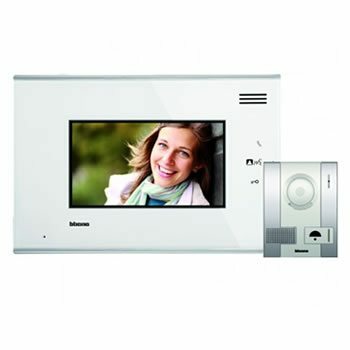 Aiphone is undoubtedly the #1 intercom manufacturer and, while it is slightly more expensive at the outset, the longevity and professional quality of their systems throughout the life of the product make it clearly the only choice for reliable and professional intercom needs. Inner Range is the Australian owned world leader in access control systems – it is that simple. It is a major global success story and to use any low quality overseas products (which are absolutely on par from a cost perspective) would be simply crazy. At AAVINET Security we like to think of ourselves as relatively sane, so using Inner Range for our access control was really quite a simple choice. Hikvision is not only the #1 CCTV designer and manufacturer in the world but the quality of its comprehensive range available through AAVINET Security means that the pinnacle of CCTV security excellence is now available on the Gold Coast. Hikvision’s superior quality and reliability means that there is no limit to the CCTV video security systems that AAVINET Security can deliver to the Gold Coast and Northern NSW every day. We can genuinely cover the endless variables and possibilities required in the video surveillance industry. From the highest skyscrapers with no weather protection what-so-ever, to the darkest of night clubs with neon lights, strobe lights, and even no lights….we can deliver the ultimate CCTV video surveillance on the Gold Coast in any condition. 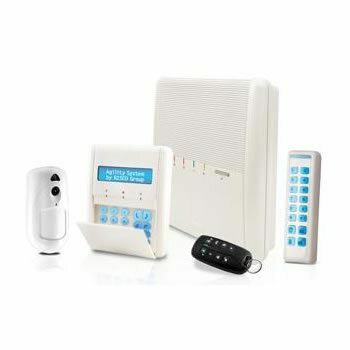 The RISCO alarm systems we supply and install on the Gold Coast are the ultimate professional alarm system. They are revolutionary in their alarm system design and functionality and are instrumental in the protection of homes and businesses, keeping them secure for years into the future. The RISCO Agility 3 alarm system has high-quality cameras built into your PIR detectors (with infrared night vision) to take photographic evidence of your intruders and loads them to your very own private RISCO cloud server where they are safe forever. Matched with AAVINET Security’s strict professional installation processes at very low rates means that our customers receive the very best CCTV and alarm technology at unbeatable value for money. So for professional, low cost, effective CCTV video surveillance, alarm systems, intercom systems and access control systems we are the perfect choice for affordable professional security around the Gold Coast region. We are an end-to-end company with no job too big and no job too small. We provide our professional services to homes and domestic residences, industrial estates, factories, shopping centres, warehouses, high rise apartment complexes and businesses of all sizes. 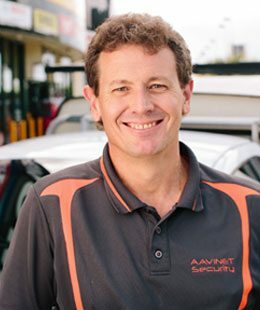 Please call AAVINET Security on (07) 5602 8175 or 0418 868 894, or please fill out our online enquiry form and we'll get back to you straight away to discuss your alarm system needs.